After a 15 hour flight we finally touched down in the second highest capital city in the world ‘Quito’, elevated a whopping 2,850 meters above sea level. 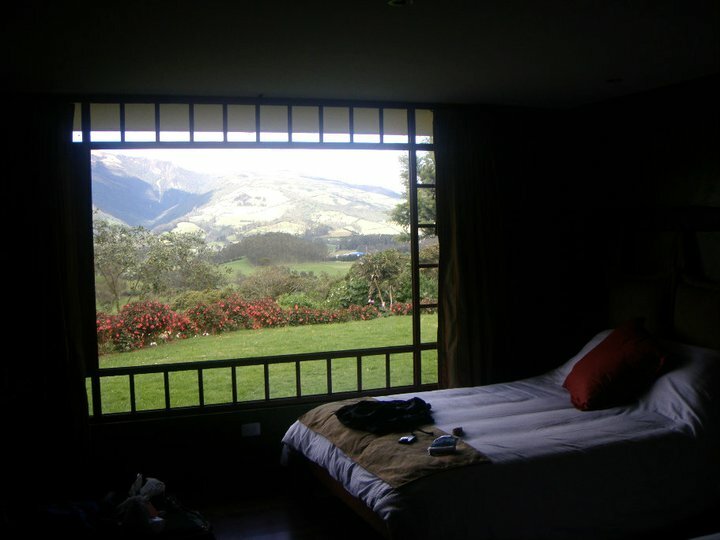 Being 8am Ecuador time, we were tired, very jet lagged and finding the adjustment hard! We had arranged for a driver from the hotel, which we were staying at to come and collect us from the airport. Entering the arrivals hall, was just absolute chaos. The humid air instantly hit you, people busily scooting around everywhere, shouting “taxi, taxi”. After about five minutes making our way through the crowds with our huge bags, we noticed a guy leaning against the wall with a sign saying ‘Mr & Mrs Petrie’. Strange seeing our new title and making it feel very real that we were now husband and wife, embarking on our first adventure – but that was us, the newlyweds and he must have been our driver! He greeted us, welcomed us to the country and helped with our bags to the car. After a short drive we soon arrived at the luxurious ‘Hotel Dann Carlton’ located in the new town of Quito, which is a mixture of multistory hotels, trendy cafes, shops, restaurants and bars around the colourful heart being the Mariscal Sucre. A great base to explore the city! 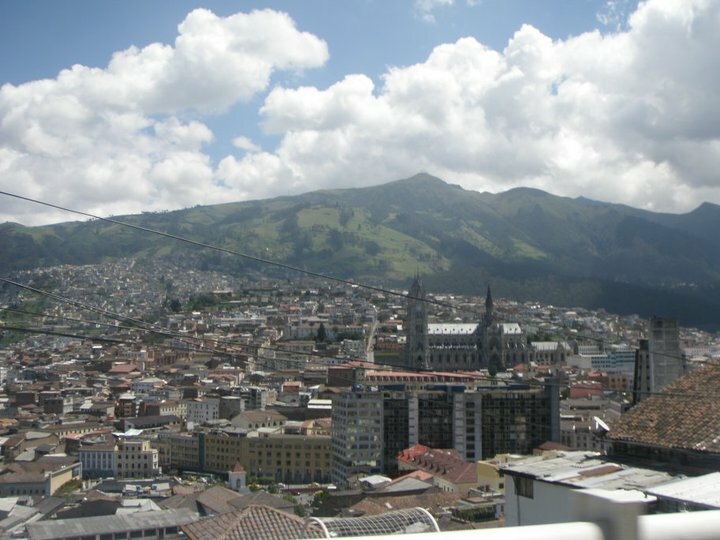 We had one night on arrival in to Quito, before we headed in to the ‘Avenue of the volcanoes’ for 5 nights mountaineering. 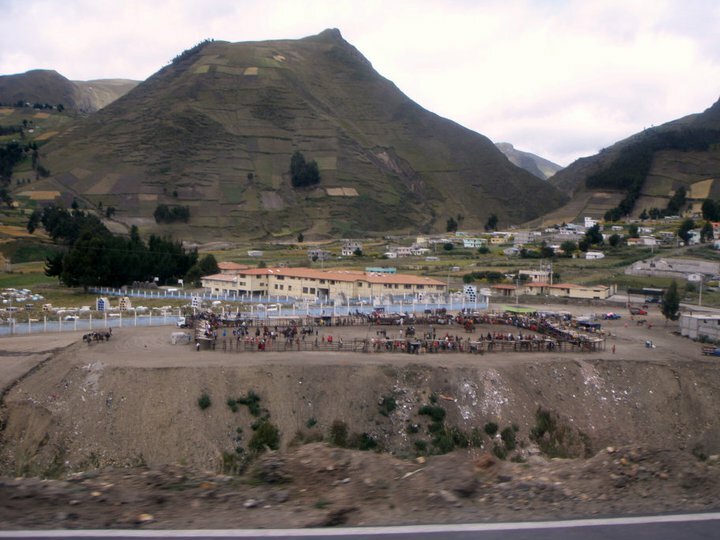 We then explored Banos and the Quilotoa loop. 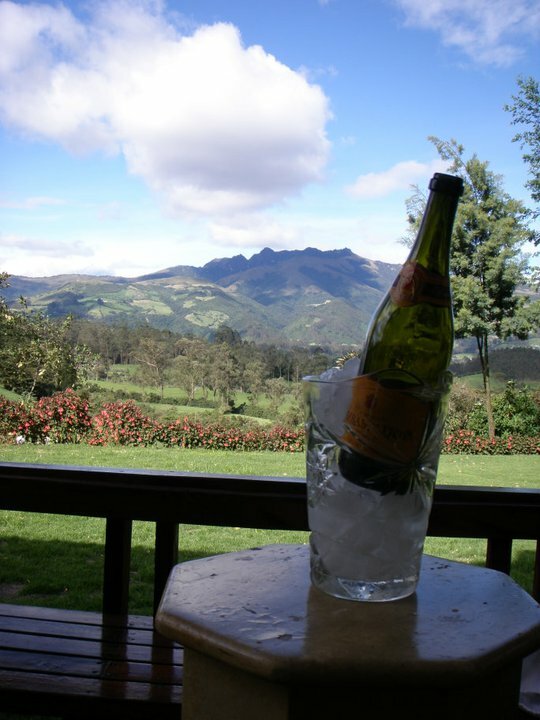 Before returning to the heart of Quito again for a further two nights before flying to Panama. On arrival all we wanted was just to sleep, but we knew this wasn’t going to help the jet lag at all! So we planned to stay awake and to get in to sync with the Ecuadorian time zone. We decided to explore the old town of Quito taking a full tour of the city on the way via taxi. The weather was warm but cloudy, but it was still early. We got dropped off in the pretty Old Town of Quito, it was full of beautiful historic buildings but after a short stroll we were so hungry. 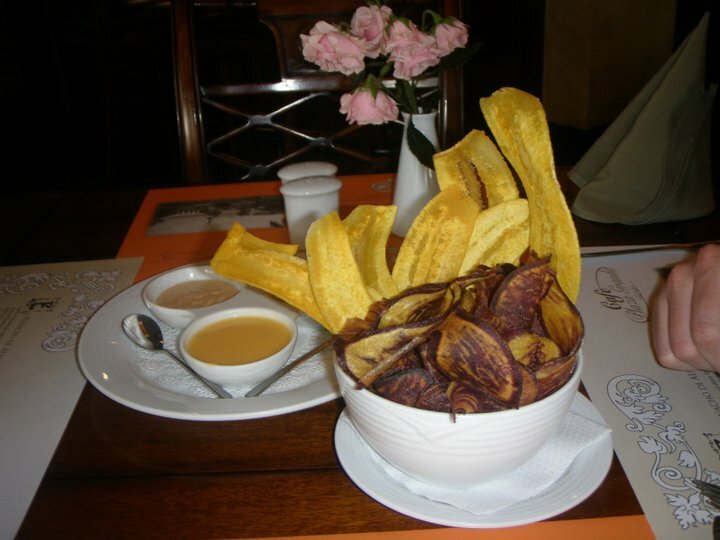 Even though it was breakfast time in Ecuador, it was UK dinner time. 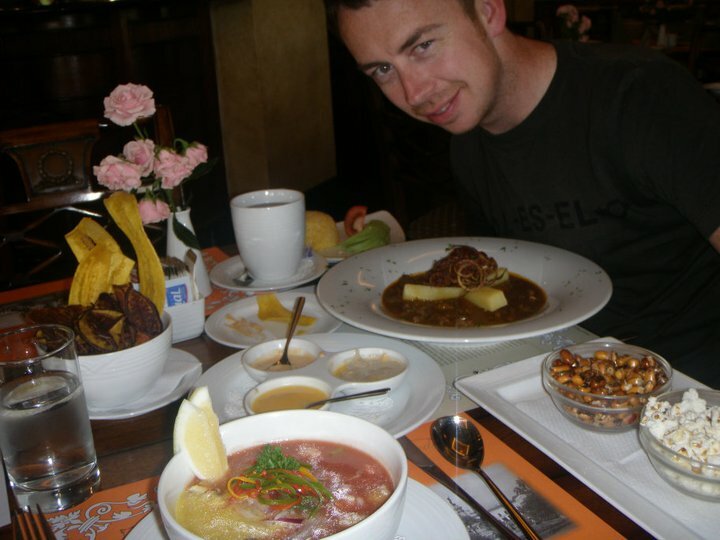 So we decided to go in to a hotel style restaurant recommended to us, just off the main square and ordered a few traditional, Ecuadorian dishes with not a clue what they were! 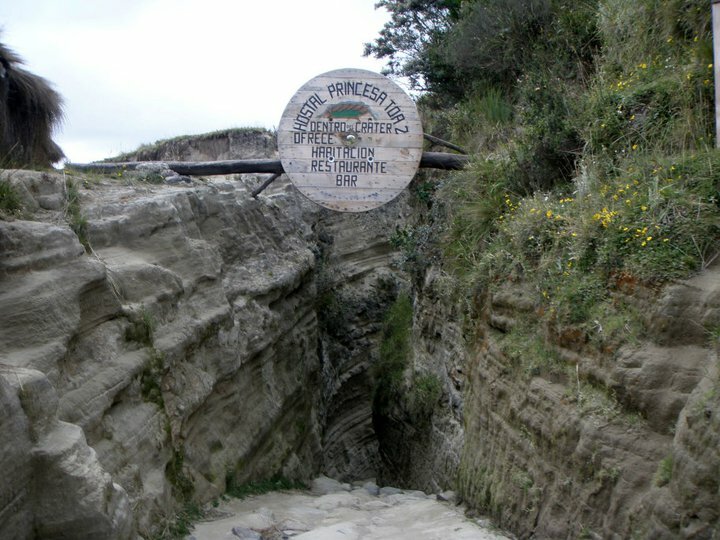 Many people might not know, Ecuador is the middle of the world! 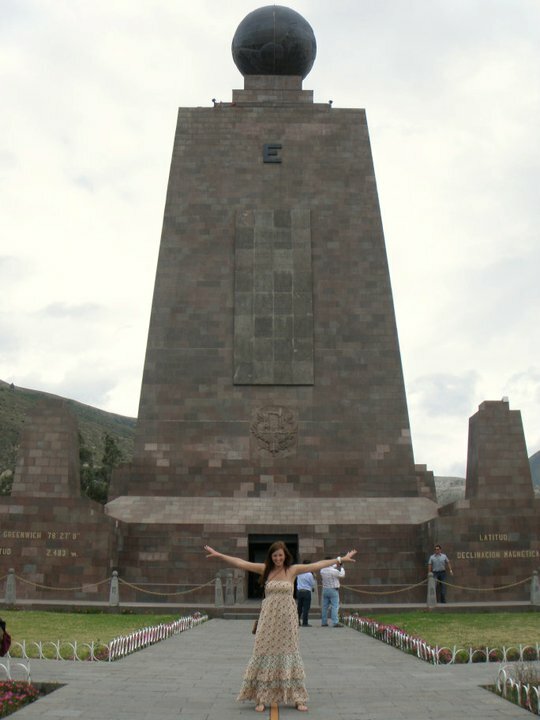 We took a taxi arranged by our hotel to the location where the southern and northern hemispheres meet and view the monument which stands there to represent the divide. It really is something special and i’m so glad we got to see it, standing a whopping 30 meters high! We also visited the Ethnographic Museum and took a guided tour, learning about the history and culture. 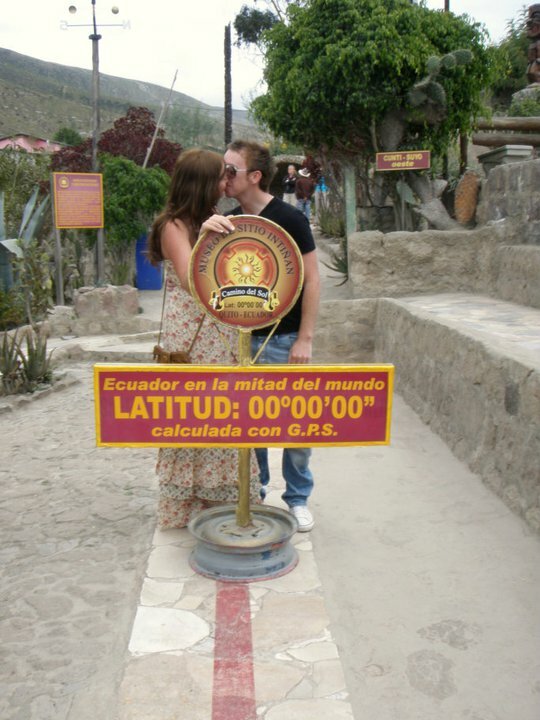 It was fun to stand on the real Ecuadorian line, being exactly in the middle of the earth. Taking part in some of the fun experiments, E.g balancing an egg on a nail easily, watching the water go round in one direction one side of the equator then the opposite way the other! All strange but true happenings! 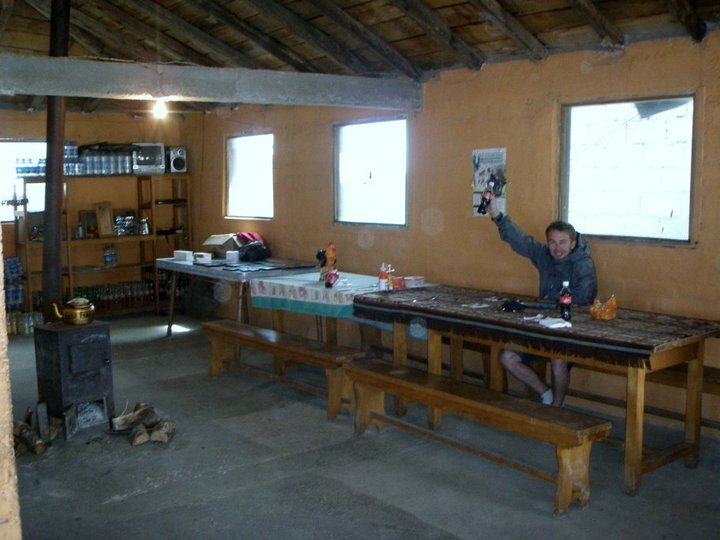 As a treat after climbing in the Andes we stayed in the beautiful family run ‘hacienda La Alegria’ organic farm in the heart of the ‘Avenue of the Volcanoes’. This place is truly stunning, specialising in horseback riding vacations. We didn’t ride any horses but just enjoyed a little bit of luxury at last, staying in a beautifully decorated room with a window view I will never forget! This is where we shared our first bottle of champagne, sat in the garden area, listening to humming birds overlooking views to die for. Romantic hey! Driving on dirt tracks through a series of remote indigenous villages, trying to take in the spectacular scenery this region has to offer was so amazing! 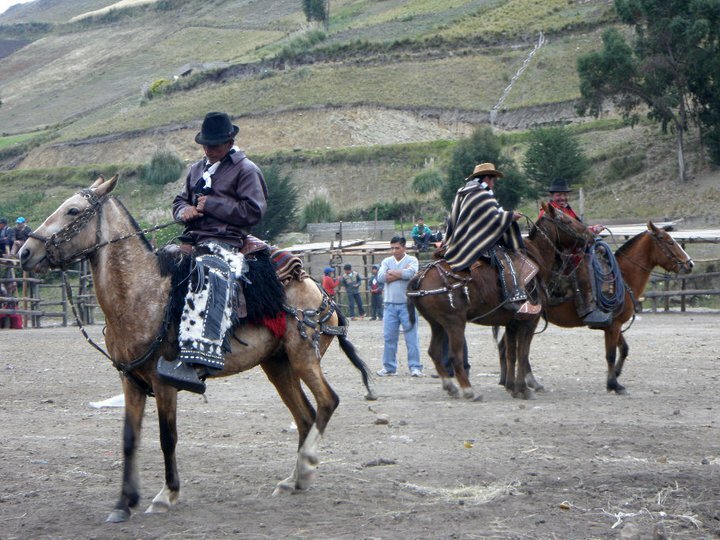 we passed a group of real Ecuadorian cowboys with loaded belts full of guns on horses huddled together chatting. 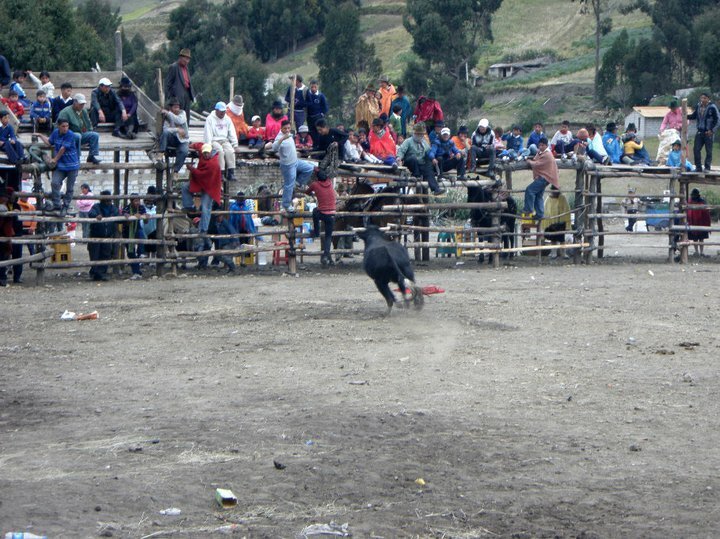 Couldnt believe my eyes and didn’t realise Ecuador had cowboys! 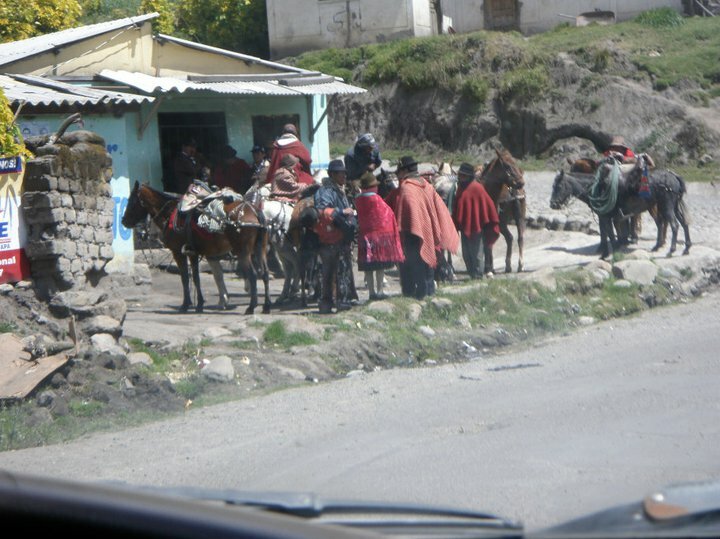 We got stuck in a traffic jam behind a pack of alpaca’s – where else can this happen but the ‘Quilotoa loop’. 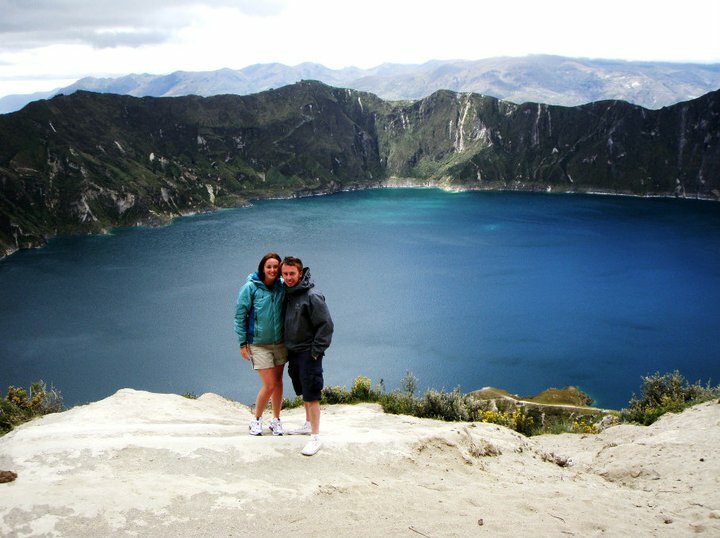 The ‘Quilotoa crater lake’ makes the loop so popular, it is the highlight in my opinion and a real spectacular sight, its off the beaten path but really worth visiting. The crater lake was formed when the volcano erupted in about the thirteenth century AD. It is about 250 meters deep and is characterized by its stunningly bright turquoise color. You can either hike around the perimeter of the lake, without descending to the level of the water, or they can hike down the steep, sandy slope and back up. 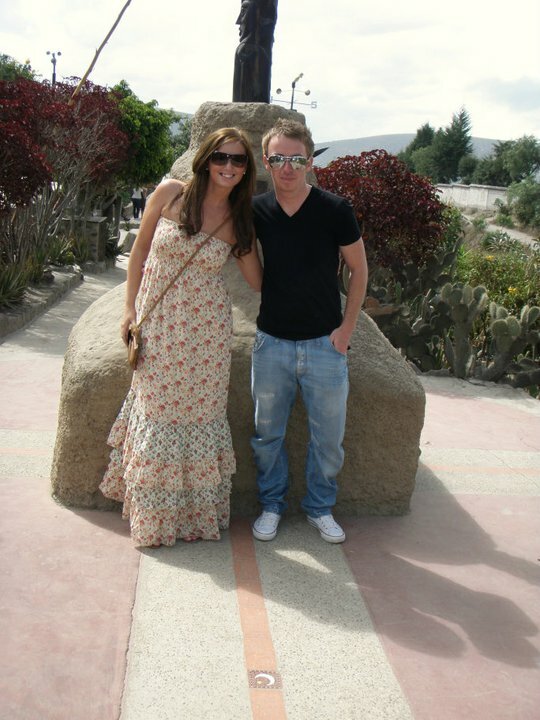 We had lunch in Quilotoa, a small town that barely exists. A bizarre experience to say the least, we were in a cafe/bar or what seemed like someone’s house if you ask me. Looking very like a cowboys saloon from the outside. We had bbq lamb chops or that’s what they said they were – still very tasty all the same! 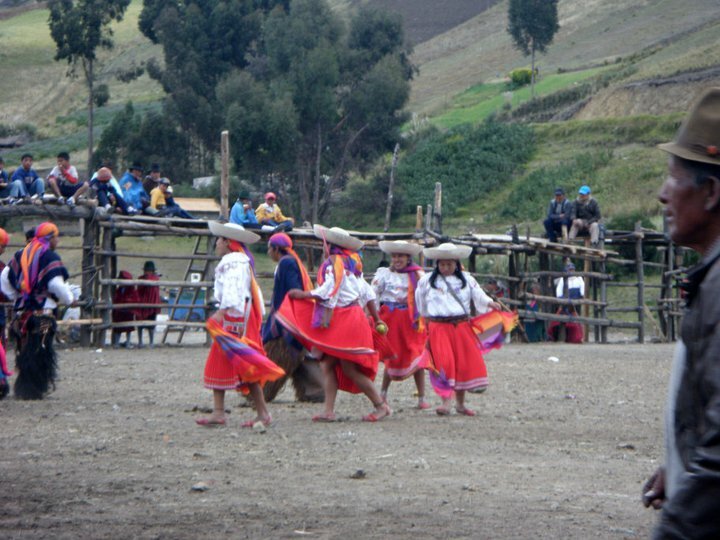 When driving from Quilotoa loop towards Banos, we happened to drive through a local village having a wild festival. I have no idea of the name of the village or what the festival was, but this was one cultural experience we didn’t want to miss out on! We looked down from the road at a colourful, fenced in square, lots of people, animals and loud music! We were the only westerners here and tried to blend in, we climbed up on to the wooden stand unsure what we were about to witness. Sat among the locals, eating pork scratching’s as they did. 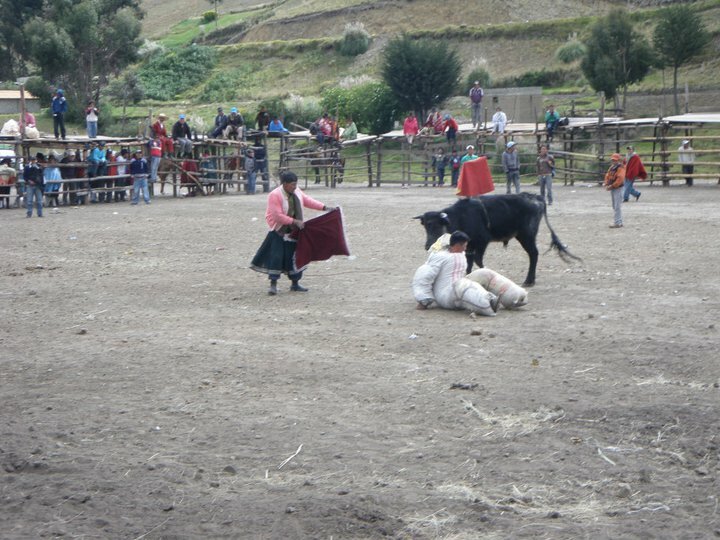 We watched Ecuadorian dancers, musicians, cowboys on horses parading around the arena, but the highlight seemed to be the bull fighting or teasing as I would call it! 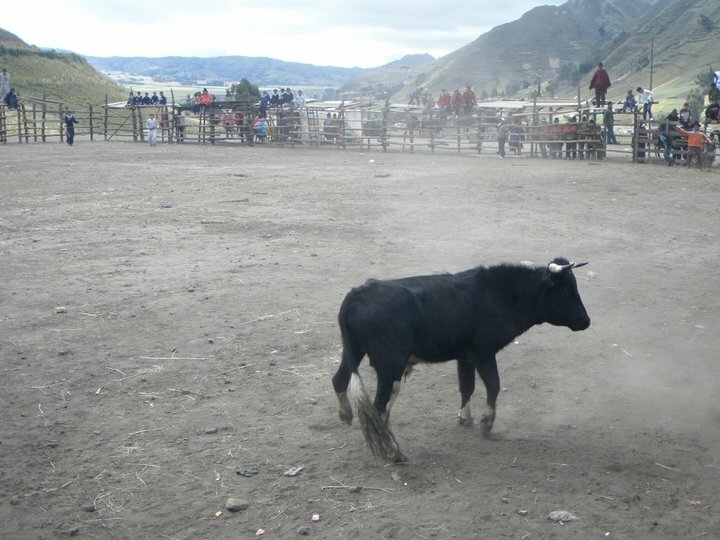 They would release a raging bull in to the arena, local men dressed as women very drunk would run in and throw stones at the bull until it chased them and they would quickly run up on to the wooden stands. 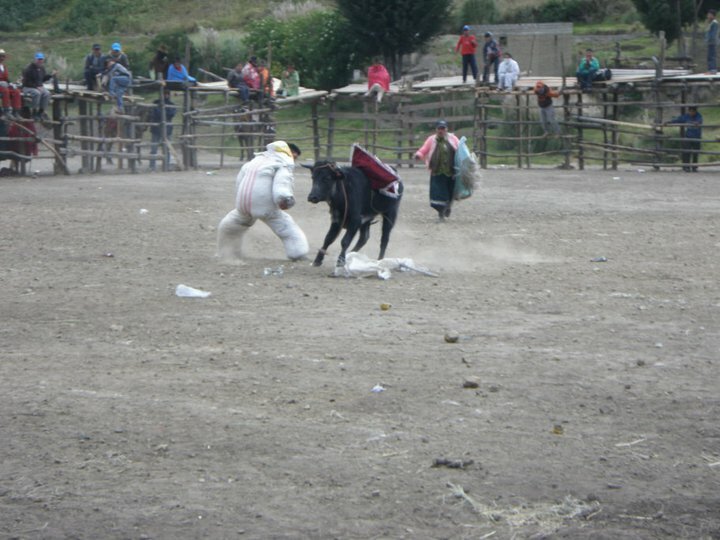 Waving a red cloth for the bull to run into it and trying to catch it with a rope… One guy was even padded up with straw and let the bull run in to him! I have never seen anything like this before – mad! My husband started to feel a little uncomfortable after a while, as the locals were getting rather rowdy and drunk and we were starting to get a few stars. We had seen enough though! I really enjoyed it and felt very lucky to have witnessed the crazy happenings! 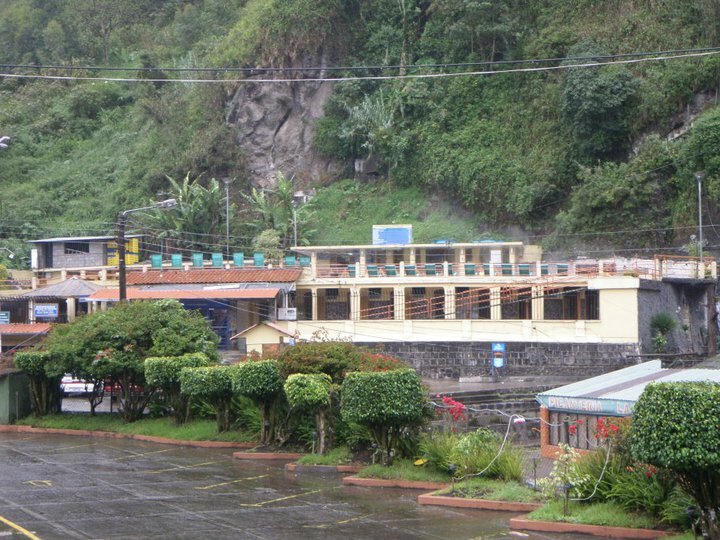 Banos is a small city in the Andean highlands of Ecuador under the smoke of ‘Tungurahua’ volcano. 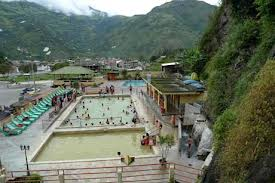 The name is spanish for baths, coming from the famous hydrothermal springs in the area, popular with both tourists and locals a like. We stayed in a hotel right outside the springs for that night. 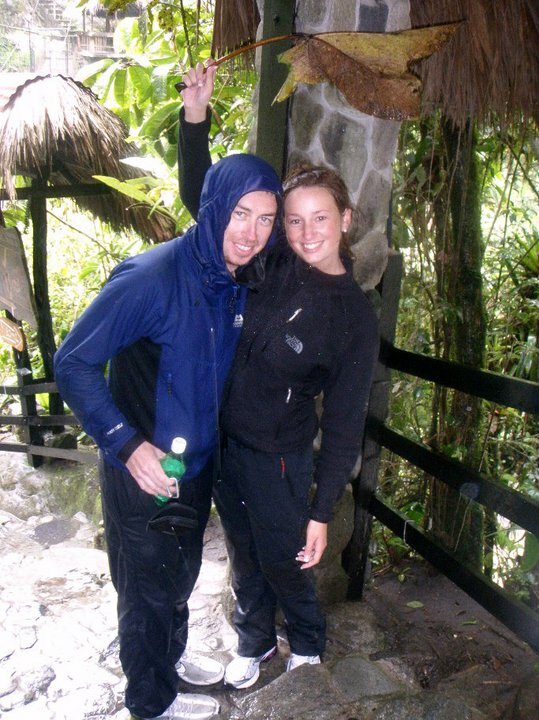 It was pouring down with rain on our arrival and my husband was feeling really ill, so we chilled out in the hotel. But we knew it was the adventure capital of Ecuador and a real outdoor sports hub, so we wanted to take full advantage of this. The next morning I was up early and headed to the natural thermal baths across the road from our hotel alone, as hubby was still feeling unwell so I left him have a lie in. Still raining, I embraced it and throughly enjoyed soaking and swimming in the warm baths with the locals. I had a few basic spanish conversations with a couple of old ladies, it was lovely and I felt quite at home, ha. 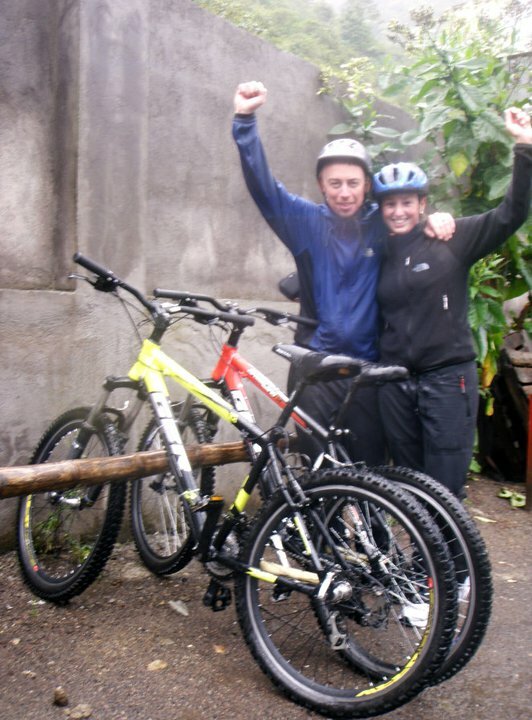 Back at the room, we had some breakfast and decided to go downhill mountain biking in the rain into the jungle. Eeeek! We hired bikes from a local shop in the middle of Banos and headed towards Puyo an Amazon region. Ok, so we were speeding downhill for about 10 miles in torrential rain, brakes barely working. 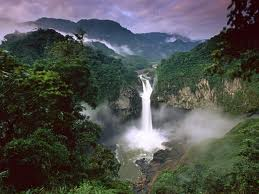 Passing gorgeous jungle, mountainous scenery, riding past waterfalls and crossing raging rivers. There was a small part of it when I couldn’t see for the rain and realised I was soaking wet through, I thought what the hell are we doing?!? This soon pasted and the adrenaline was pumping… Near the end, the mountains starting giving way to the jungly plains – you really did feel like you were in the jungle. We finally reached the end of our trail very impressed with ourselves, that we had done it or survived I should say! 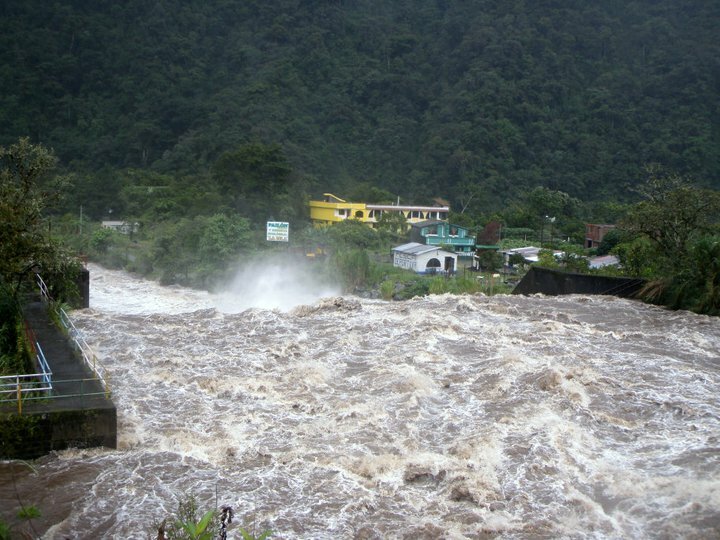 Then soaking wet we went to the view-point of ‘Del Diablo waterfall’. This was the fiercest waterfall I have ever seen, the air was full of misty spray for about 50 meters in all directions – this didn’t really matter to us as we were soaking wet anyway! It was about a 2km walk from the road, so we went for it. 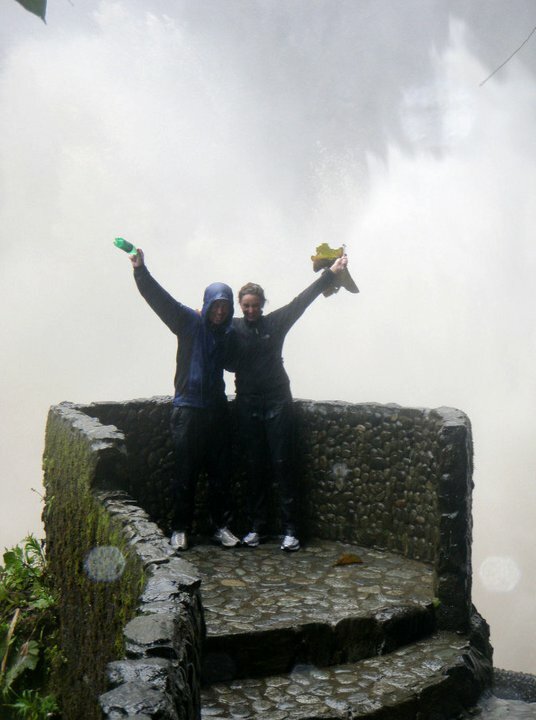 We went right out to the view-point, with the spray hitting our faces – it was an amazing feeling! 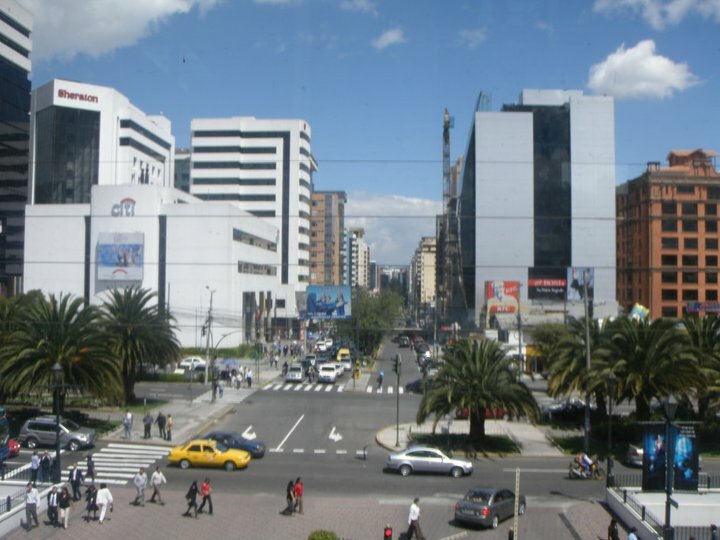 Our hotel and base whilst staying in Quito was situated in the new town. It was a lot more commercial than you would ever imagine with a huge shopping mall open till late, shops, restaurants and plenty of sidewalk bars and cafes. I could have lived there it was a cool city with everything you needed. 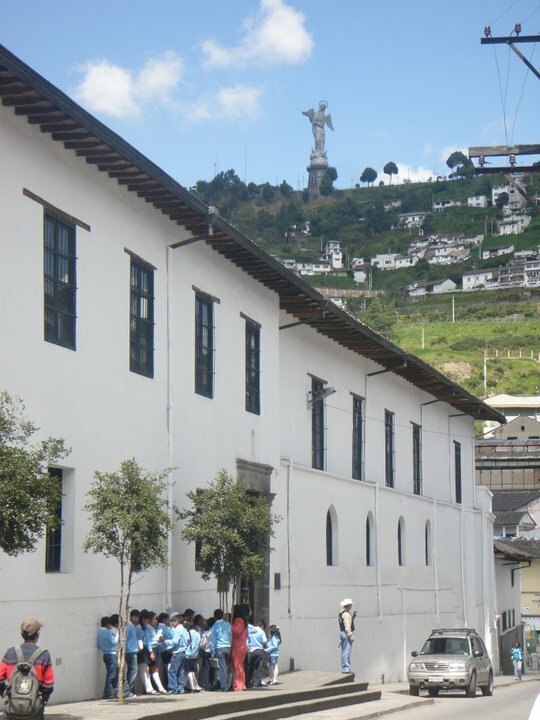 There is a huge art scene in Quito new town area, with the Mariscal art markets selling paintings and lots of creative Ecuadorian handicrafts. I feel Ecuador may not be a destination that first comes to mind when considering a honeymoon, but for us that’s part of the attraction! Unusual, off the beaten track and oodles charm, variety and adventure. 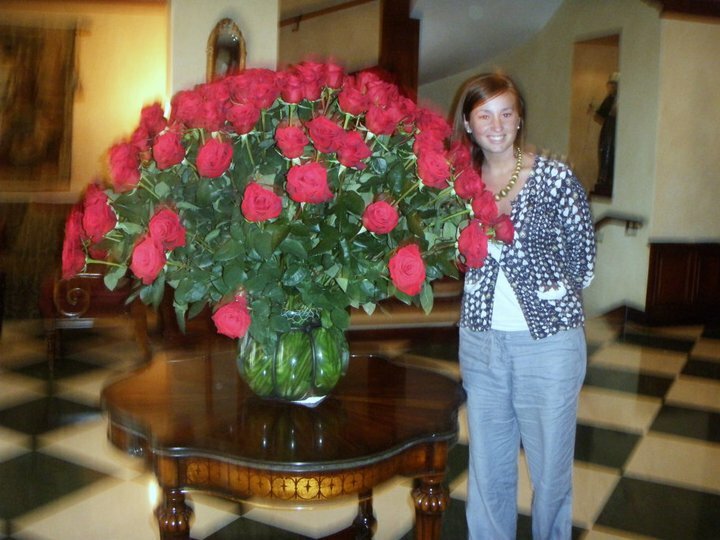 Packing in a lot for a small country: – Volcanoes, mountains, jungle, colonial cities, good food, friendly people and aside from all that, it is one of the biggest exporter of roses!